"WINGDARI SPIRIT OF THE ANZACS"
Canberra Royal Dog Show 2016 only 1 year and l day old just into Junior Class. Ben is the son of "Supreme Grand Champion and Aust.Ch.Wingdari Swaga Chaos" - who is a Multi Best of Breed Winner Sydney, Melbourne, Canberra Royals and Multi Best Exhibit in Show All Breeds winner, RUBIS Speciality Winner, Multi BIG, RUBIG, Class in Show wins. Ben's first four shows he won four first placings Baby Puppy Dog Class - looking forward to showing Ben with his cheeky, full of life happy attitude. Following in his father's footsteps. Ben is a lithe, tall, leggy dog which will enable him to have a lovely long length of stride covering ground with the least amount of effort. WHAT A START TO THE YEAR - FIVE days out of the Baby Puppy Class and into the Minor Puppy Class for the Kelpie Show - winning MINOR PUPPY IN SHOW at the Kelpie Speciality and then at Sydney Royal Dog Show (again youngest of the Puppy Dog Class) winning RES.CHALLENGE DOG over many top winning Best in Show Dogs. 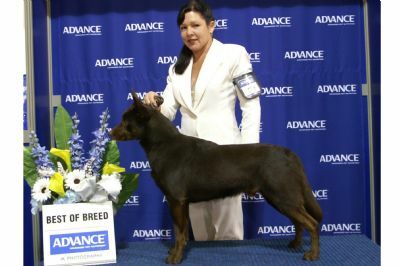 A great credit/statement to his breeding and temperament from Best In Show winning lines. BEN AWARDED - lst PUPPY DOG/PUPPY OF BREED at the prestigious MELBOURNE ROYAL DOG SHOW - the biggest dog show in the Southern Hemisphere - Ben's sire Aust.Ch.Wingdari Swaga Chaos won lst Open Dog, Ch. Dog and Best of Breed and was in the Finalist Working Dog Top Eight Dogs Melbourne Royal. DOGS NSW WESTERN REGION DOG & PUPPY OF THE YEAR COMPETITION - Ben won 3rd Place/12 to 24 mths - 24 in class. BEN BACK IN THE SHOW RING AFTER AN EXTENSIVE BREAK WINNING BOB OVER BEST IN SHOW DOGS. 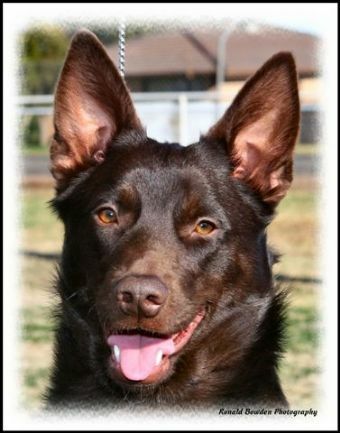 BEN HAS ACHIEVED BOB's, AUST.BRED IN GROUPS, RUNNER UP BEST EXHIBIT IN GROUPS, BEST AUSTRALIAN WORKING DOG IN SHOW AWARDS. Ben Res.Ch.Dog to his father "Chaos" at Sydney Royal 2008. 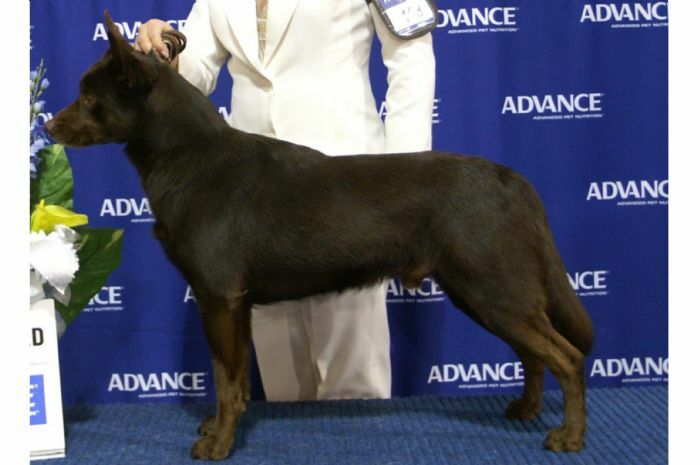 Ben was a member of the first ever BEST IN SHOW BREEDERS GROUP at Sydney Royal along with Chaos, Chelsea, Becky. WINGDARI WON BEST IN SHOW - BREEDERS GROUP SYDNEY ROYAL 2008.